Awesome idea Jack! I would like to see a dinosaur diving into a pool of jelly. Suyash Sonwalkar liked this post. VsKitchen (Twitter) liked this post. LodovikoZ (Twitter) liked this post. This is an amazing drawing Jack! This is the best drawing I’ve ever seen! 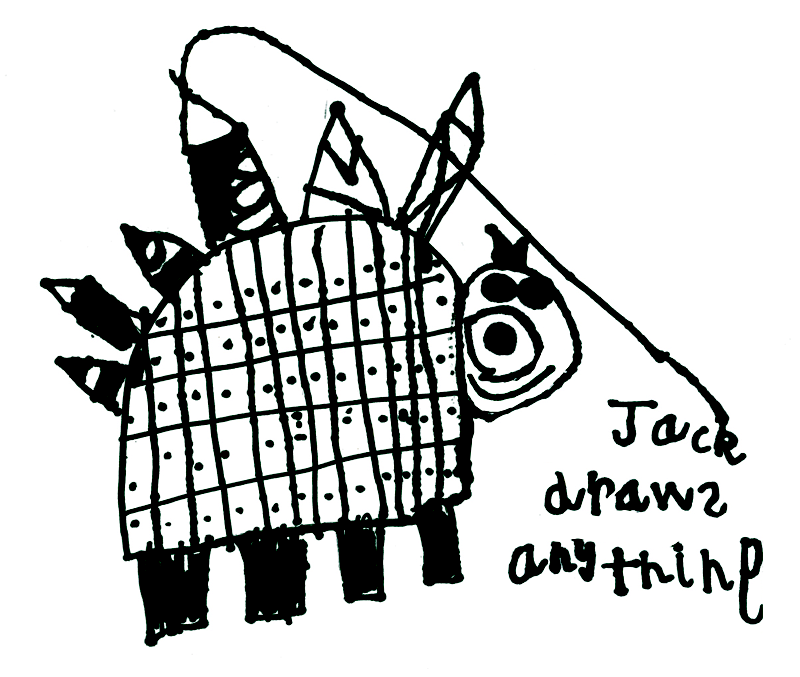 Good morning Jack, great drawing, very creative! I just discovered your website and your drawings and why you're doing it. Keep it up, it’s a fantastic idea and very kind of you. I will mention your site to all the people I know. Very best wishes to you and your entire family. Very good health to all. jack you are the best at drawing and you have a brillient talent keep up the good work and try helping your bother get better. As your brother gets older you can tell him all the good thing you did for him and he will love it. i love you lots for what your doing.